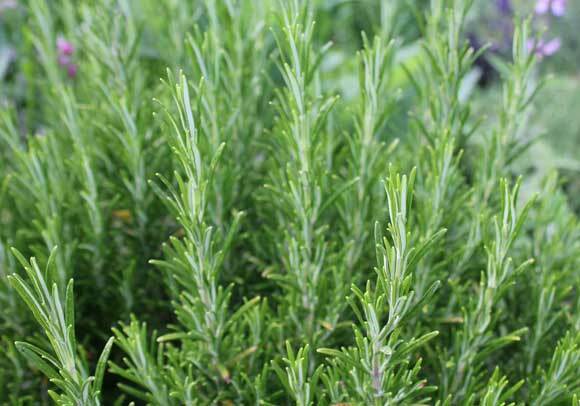 Rosemary is a perennial herb with needle-like, leathery, aromatic foliage that has a heady essence of pine needle and mint to it. It’s fresh plucked leaves make a refreshing herbal tea and combine well with lamb, fish, shellfish, chicken, tomatoes, spinach, peas, mushrooms, squash, eggs and cheese. 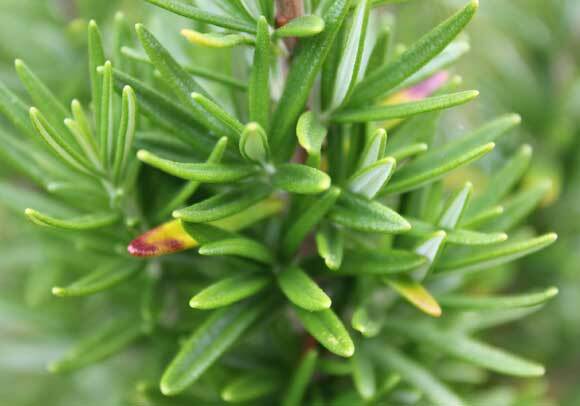 More than just providing culinary flavour, rosemary bushes can grow to between waist and head height they can as such form structural elements in a garden and become part of its overall design. 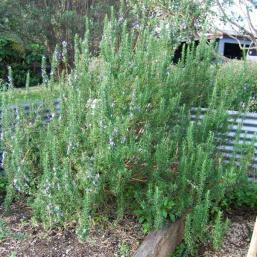 Rosemary is very popular with bees when it becomes covered in nectar-rich, blue flowers in late spring and summer. Companions Beans, broccoli, cabbage, carrots, chilli pepper, sage. Quantity You are unlikely to need more than one plant as long as you look after it. Click through to view options. 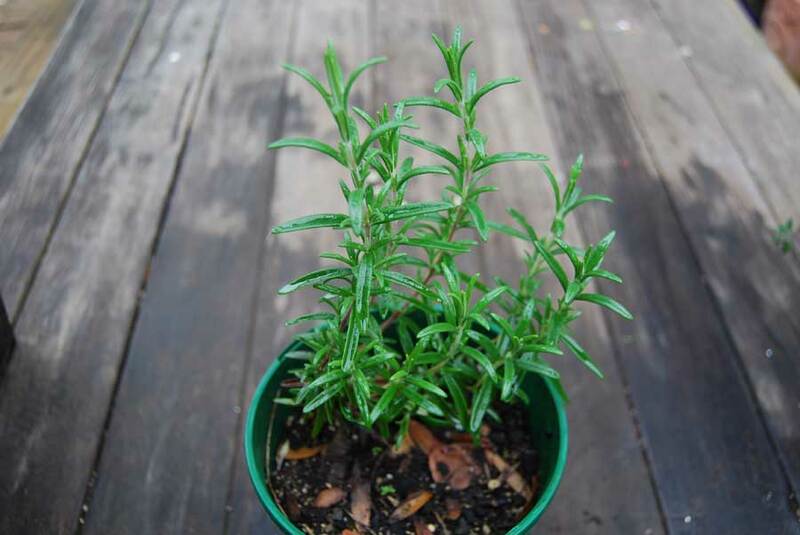 Upright rosemary grows like a bushy shrub and can get fairly large. Try ‘Tuscan Blue’ or ‘Benenden Blue”. 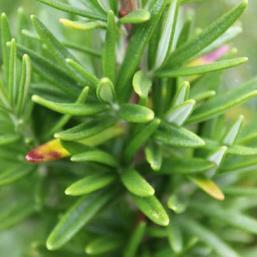 Prostrate rosemary grows horizontally and trails downwards. Not big on flavour. Plant from spring to late summer. 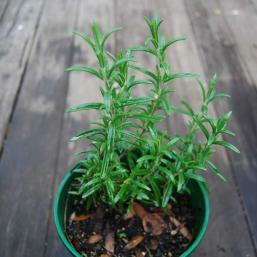 Rosemary likes to be in full sun with good air circulation and no humidity. 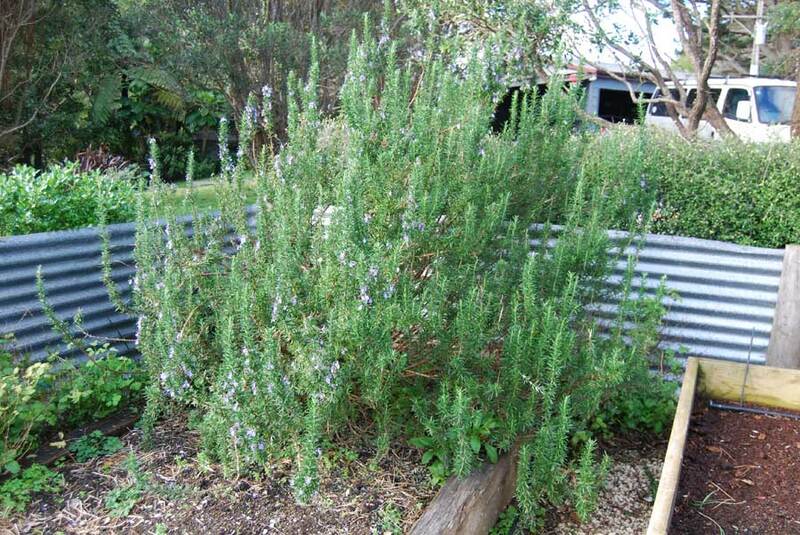 This can make it a great plant for coastal gardens. 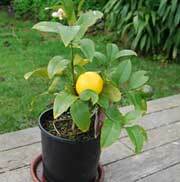 It can be grown in containers – but remember it does get quite big. 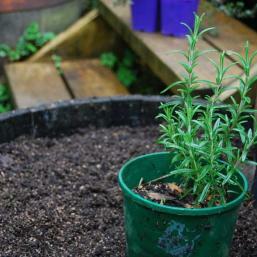 Rosemary needs a free-draining, poor soil to thrive. If you have fertile soil with obvious particles of organic material in it then dig in plenty of fine pumice or coarse sand so that good drainage is assured. 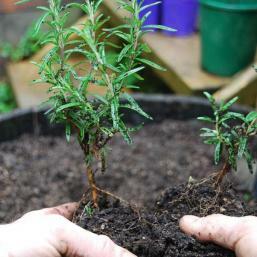 Best to grow rosemary from cuttings or as a seedling. 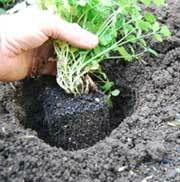 Plant shop-bought seedlings or cuttings with an average spacing of a good stride between them – if in garden soil. 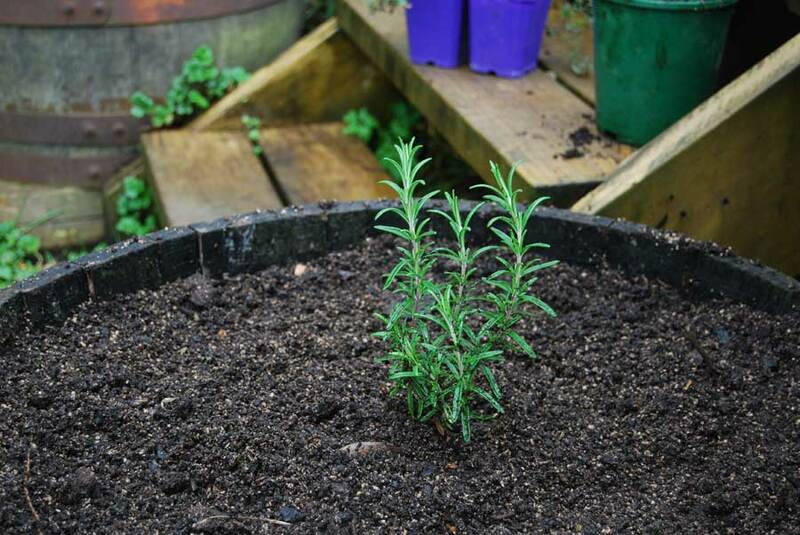 If planting in a container choose something on the larger side – a half wine barrel will do the job. Water cuttings and young seedlings in dry periods. 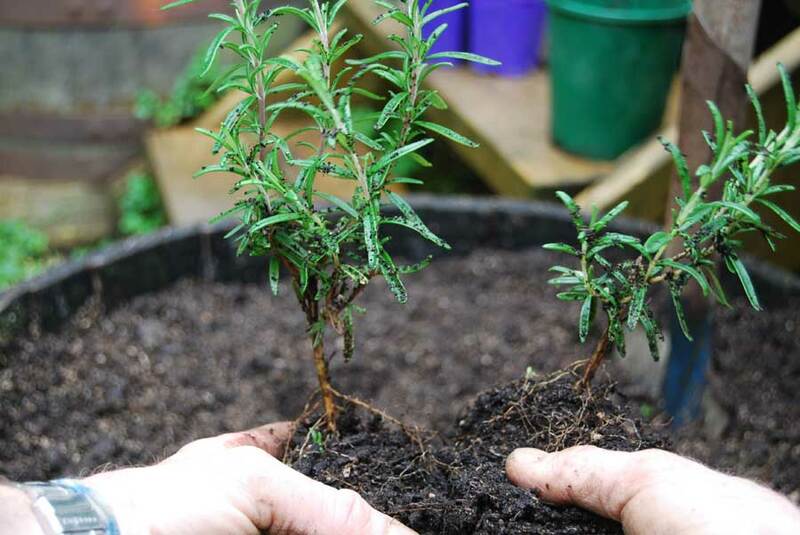 Once they are established and starting to grow strongly you shouldn’t need to continue with watering unless weather is persistently dry and your soil dries out. 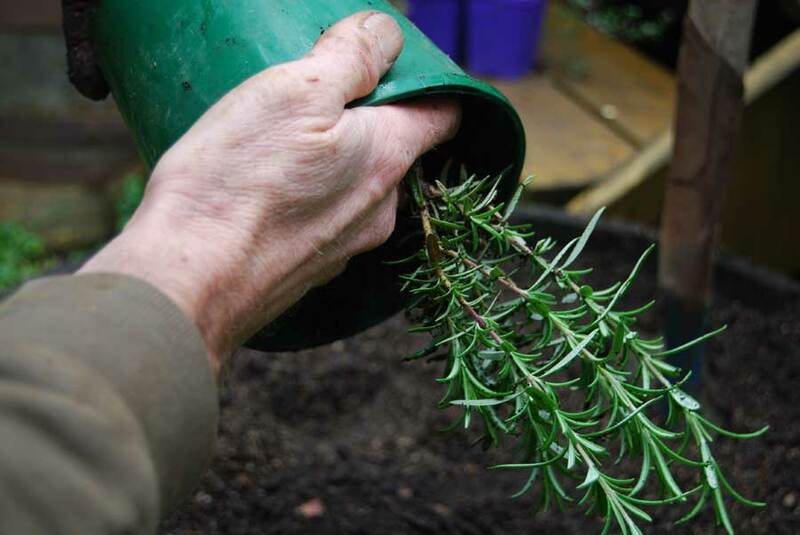 Rosemary is a plant that can be killed with kindness – so don’t over feed or over water. 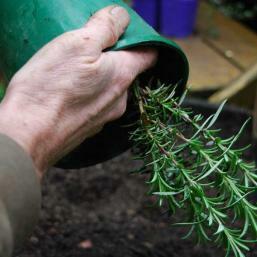 Pick the tender tips and young stems of your rosemary plant. 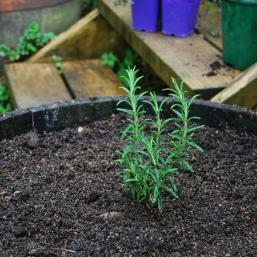 Use fresh if possible as dry rosemary is a poor substitute. 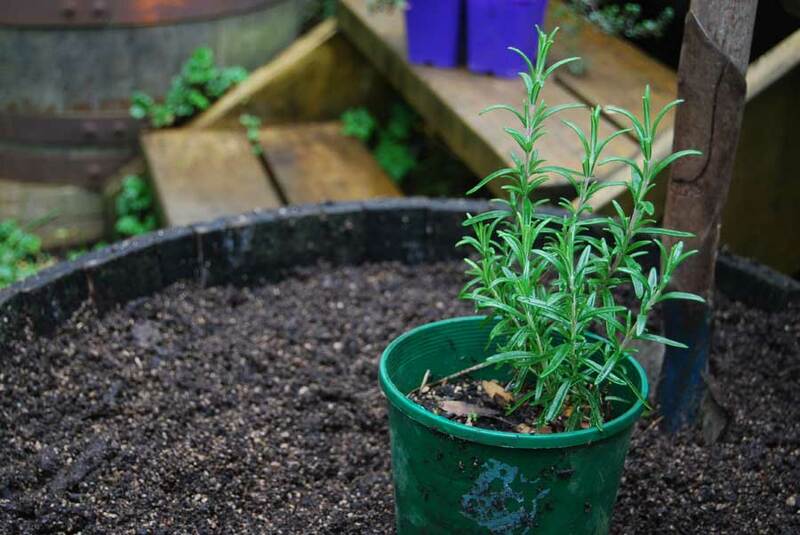 If your garden gets anything more than the lightest of frosts in winter then you may want to plant in containers and move to a protected spot during winter months.